Comment: major drainage issue in backyard, need drains, retaining wall, grading, new patio, new fence. Comment: I need some azaleas replaced in my front yard. The azaleas were old and I would like them to match healthy plants. Comment: Raised Garden Bed area. Need new permanent foundation for area around raised garden bed. Also have work area that will need permanent foundation apart from garden area. Comment: Backyard gets runoff from neighbors into my yard. Have rotten cross ties that need to be removed. I have some dirt that can be used in plan. Have patio that looks like a lake when we get heavy down pour . Dogs track in dirt. Can't keep house clean. Also need new concrete drive in front. Cordova Landscaping Companies are rated 4.68 out of 5 based on 127 reviews of 16 pros. 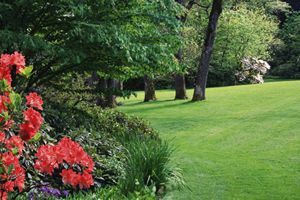 Not Looking for Landscaping Contractors in Cordova, TN?